Paperback, 9.5 x 6.5 in. / 96 pgs / 114 images. Text by Catherine de Smet. Contributions by Lars Müller. 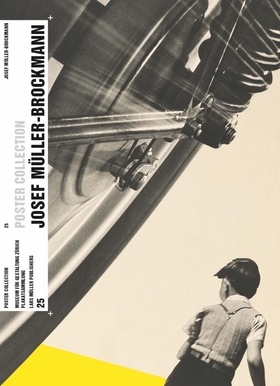 Josef Müller-Brockmann’s graphics left a lasting mark on Swiss visual communication from the 1950s onward. His posters demonstrate how a sober, formally reduced language works best for conveying a universal, timeless message. Poster campaigns for longtime clients such as the Tonhalle concert hall in Zürich or the Automobile Club of Switzerland follow strict functional criteria–and yet exhibit a variety of design solutions and exciting, dynamic compositions. 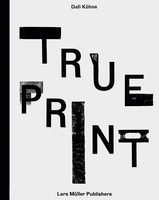 Foreword by Bettina Richter, André Vladimir Heiz, Harald Szeemann. With contributions by A.V. Heiz, Harald Szeemann. Essay by Steven Heller. Foreword by Felix Studinka. Essay by Lars Müller. Foreword by Felix Studinka. Essay by Robert Massin. Foreword by Felix Studinka. Essay by Nigel Barley. Foreword by Felix Studinka. Edited by Bettina Richter. Text by Claude Lichtenstein. Text by Eva Lüdi Kong. Text by Martin Jaeggi, Peter Schweiger. Contributions by Pascal Lefèvre, Bettina Richter. FORMAT: Pbk, 9.5 x 6.5 in. / 96 pgs / 114 images.